It sounds like a great idea, and I am okay with leaving the oven on while I’m gone… but why not just use the Crock Pot? Isn’t it the same idea… ready when you get home? Or do you just like how food turns out better in the oven than in the Crock Pot? Yes, I prefer my oven for most of these types of food. Is it strange that I “trust” my electric oven and cockpit to not misbehave when we’re gone, but not a gas oven? Thank you for this tip! I can’t believe I haven’t thought of it. :) I almost always use my crockpot on Sundays, but this opens up meal possibilities to much more meals. I love this tip, and will keep me from going for a $5 piece of cardboard –umm, pizza on Sundays. My wallet and my stomach thanks you! Fantastic! If you have a meal cooking, then you can’t go out! My oven even has a timer supo that it turns off after whatever amount of time….this would allow for time changes. Growing up, almost every Sunday my mom would leave a roast in the crock pot and potatoes baking in the oven while we were at church. We never had any problems with it, except that we ate the same meal almost every week! :) she has admitted to me that she sometimes got nervous and would come home during the Sunday school hour to check the food, then come pick us up from church acting like she was there all along. Now, we live across the street from our church and I could easily come home for a few minutes to throw something in the oven. Not a bad idea! Isn’t 165 degrees the safe temperature for chicken, which has the highest temperature requirement among meats? If it’s been in there for hours, it will be 200 degrees all the way through, and thus, safe… am I missing something here? Great tip Laura! I’ve been very guilty of throwing together Sunday lunch after we get home from church, and it’s less than wonderful. This is such an encouragement to prepare ahead of time and bless my family with a nice Sunday meal. I love reading the comments about the memories of their Mom doing this. I want my children to have that memory! Yes, you can definitely cover the dish to prevent crispy cheese – great thinking! We are expecting again, so the morning sickness has kept us pretty close to home… We probably won’t return to Wed mornings, but hopefully we’ll be able to keep in touch. Blessings Laura! Ashley! I’m so excited for you. I think staying home more is a great idea right now. Will be praying for you and the pregnancy! Periodically check the food thermometer to ensure the food remains at least 140 degrees Fahrenheit, since lower temperatures may allow bacteria to breed, according to the USDA. I too was curious if these methods were safe, but I can’t find anything that says otherwise. I can’t imagine the food dropping to under 140 degrees during the 3 1/2 hours of being gone. The 200 degree method might be better for me, personally, but it just feels a little safer. I’m just curious, do you have information that proves otherwise? Please note that I am by no means trying to be rude, just trying to make sure I’m not taking a chance. For some reason, I don’t feel comfortable with the oven going, but I am fine leaving the crockpot going… I don’t know why that is! I use my crockpot 3-4 times a week because of our schedule right now. I make a crockpot lasagna that cooks in 3-1/2 to 4 hours. I am blessed to go to a church that starts at 9 and gets out at 10:30 so I am home in time to throw together quesidillas or a muffin-tin lunch for the kids. What time do you leave for church? How long is the casserole in the oven? That’s what we do to! We just eat out on Sunday’s for a BIG lunch. family would have been wiped out in the early 1900s if so (no fridge). My oven has what I call a “church setting”. I can set it to turn on at a certain time. So leaving a frozen casserole in it works great and no food safety issues! Great idea! And not too much different than using a crockpot anyway. I think the low setting on a crockpot is 235-250 depending on the brand. We love to come home from anywhere and smell dinner cooking itself! The only heat-generating appliance we leave on while gone is the crock pot. I just feel better that way. But I certainly understand you leaving the oven on. I also will bring soup to a boil and turn off the burner, leave the pot on the stove and come back several hours later, turn the burner back on and heat to eating temperature. As for a 200 degree oven not being safe, I just don’t agree. If the food is cooked throughout, it doesn’t matter the temperature at which it was cooked. I use it for slow-oven roasted chicken frequently. I think it’s a great idea! In fact I’ve cooked casseroles on low before while napping so I could wake up to dinner. This is also a great tip for practicing hospitality on Sundays. It’s very easy to invite visitors or friends over for lunch when its cooking and you can pull it out and serve. I used to think Sunday lunches were so hard, but then I figured this out. I also get bread ready, let it rise during church, and set my oven to preheat at a specific time so it’s up to temp and ready to go. Fresh bread/rolls in 10 or 15 minutes instead of 30 minutes. Makes a big difference when company and hungry kids are waiting around! Thank you so much for this post! I had just asked on a forum how I could have Sunday lunch on the table, eat and cleaned up in 30-45 min. without using the crockpot! Now I know. (My husband isn’t a huge crockpot fan!) Thanks again. Because most of your recipes call for pre-cooked ground beef or chicken, you could avoid the concern of leaving appliances on while out of the house. These casseroles are fast-cooking. If the casserole is thawed in the fridge, you can pull it out as soon as you get home. Put it in the oven at 350-375 degrees and heat til hot and bubbly (about 20-25 minutes). This is just the right amount of time to set the table (have the kids do it! ), make a salad, and warm the bread or rolls. Have a fruit or veggie platter prepared in advance so that the kids can have a healthy snack while waiting 20 minutes for the meal. Had to smile when i read this. My parents, and i’m sure it’s safe to say that most of the folks in church, did this same thing many many years ago. (And since i’m 69, it gives you an idea of how many “many years” that is!) Mom would peel and cut the potatoes, cover them with water, and set them aside. Meanwhile my dad would prepare the roast (beef or pork or chicken) and put it in the oven (initially a gas oven and later an electric one) before we left for Sunday school and church. As soon as we got home, the potatoes were put on the stove, and by the time we had changed out of our Sunday-go-to-meeting clothes, and set the table, the veggies were ready to eat and daddy was carving the meat. So you see, it’s true, there is nothing new under the sun. :D By the way, i was the baby of the family – my brother and sister being 13 and 14 years older than i, and this tradition started with them and continued until i got married and left home at the ripe old age of 29! God was faithful to protect us as we were faithful to Him and honored Him in our daily lives. 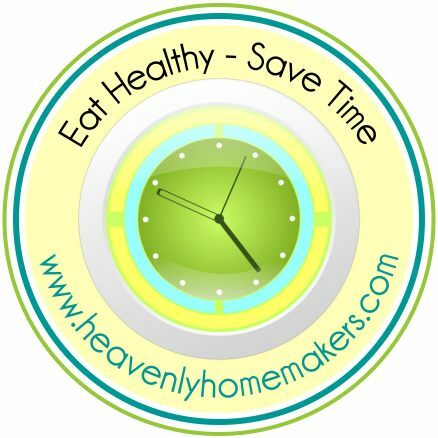 If you feel more comfortale using a slow cooker, however, you can easily achieve basically the same results. I too cannot fathom leaving my oven on while being out of the house. It was instilled in me as a child by my father. Probably part of the reason that I don’t own a crock pot. For Sunday dinner, I stick with the traditional eggs and toast, waffles or pancakes that I grew up eating. We reserve our big meal for the evening. I pick meals that take a long time to prepare (i.e. can’t be done of a weeknight), like roast meat, homemade pizza, etc. or hands on meals that my girls can help me make like bi bim bop. Speaking of roast, now that fall is here, I might just thaw out a chicken to cook this Sunday. Roast chicken and gravy with mashed potatoes and green beans, MMMMMMMMM! I use my oven on Sundays all the time!! But why not just use Timecook? Then you dont have to guess about how long it needs at what temp. It just cooks at the temp and time the recipe calls for! We have begun eating out more often on sundays- just because m:y 2 yr old falls asleep before we’re home. But i still love my big homemade Sunday lunches! Nothing like walking in the door to the amazing smell of a hot lunch! I haven’t heard of Timecook, so I’m assuming that’s a feature your oven has that mine doesn’t? Really?? I assumed its standard on ovens. I have an old oven, so maybe they dont still make this option?? My mom always used this too. It allows you to set the time you want the oven to turn on, the temp you want, and how long it should bake. So it turns on and off at the designated times. I love it!! Sounds great, but nope, my oven doesn’t have it. Great feature though! Done this all my married life and it saves us a fortune. It prevents the ‘I’m starved lets just go out’ scenario and it means we all sit in a much quieter room and talk and laugh. Some of our best times are that post Sunday lunch chatter. We live to invite others too, especially those who may not cook much at home. Have done roast everything (use root veg and roast in the pan too). I’m from the uk and we Brits do a mean roast dinner! And my family love to walk into a house that smells so good! Have cooked it on low/high with the preset on the oven and also crockpot. Use whatever you have to save a ton of money and create great memories. Sundays should be about family right? Anitra, beef roasts are SO easy! I’ve tried many, many recipes over the years, but the best tasting and simplest method is to liberally salt and pepper the entire roast. Put it in the crockpot with about a 1/2 cup water or beef broth, then cook on low for about 6 to 8 hours, or high for 4 to 5 hours. Thicken the liquid in the bottom with a little cornstarch or flour, and you have a fabulous gravy. You can also throw the veggies in with the roast for an entire meal. I usually throw in potatoes, carrots, celery and onion. So yummy, and so easy! I hope you try it. My family always ate out on Sundays when I was a kid – my mom called it her “day of rest” from cooking. My husband and I used to do the same, and then when we dropped to one income and introduced picky/antsy children, eating out for Sunday lunch became less appealing. I am still trying to figure out good meals that can be prepared ahead of time for Sundays, instead of catch-as-you-can leftovers. We usually leave at 8am and don’t get back until almost noon… so I need to figure out things that I can set up the night before and then somehow cook while we’re gone. Maybe I should learn how to choose & cook a roast! Our oven has a cook delay setting so I can set it to come on 45 minutes (or whatever needed for what I’m making) before we will be home and the oven will cook for that time. It is a lifesaver on busy nights. I’m always nervous about leaving it on, but really 200 degrees in the oven or 200 degrees in the crockpot, it’s the same difference. I guess the oven is just a huge crockpot at 200 degrees and for some reason that makes me nervous. I will however, turn it on and cook what I can and leave it in the turned-off-but-still-warm oven when I go. I’ve come back to fully cooked meatloaf and other foods that are still warm and ready to eat. Yep, I do it all the time. 3 days a week I have to make the gymnastics run – meaning I pick up a child from school at almost 4, drive them 25 minutes across town, drop them off and drive home – arriving at around 5 or so. Which to me, is smack in the middle of dinner cooking time. Rather than cook when I get home and feed to rest of the family after 6, I either have something in the crock pot or a casserole in the oven and all I have to do is fix up the sides and we are eating by 5:15 or so. Love it! I will make the casserole in the afternoon and put it in the fridge. I have my husband put it in the oven at the appropriate time and viola – hot dinner served and I am not a frenzied mess! Of all the meals you all bake in ovens, has a fire ever started? And that’s baking at 350 or higher. You’re probably more likely to have a house fire while you’re gone from electrical issues than food simmering in the oven. Why is everyone so afraid a fire will start just because they leave the house? One of my crockpots gets much hotter than 200 — or so it seems :) I’ve never checked it, but man it cooks. You can dehydrate in the oven as well, but that temperature is not much below 200 for most ovens. husband has been to several oven fires. I know people do this all the time, but it is not recommended. I hope this will be a warning to others that this is not safe. Is a few minutes time worth the aggravation of dealing with the aftermath of a fire? My mom always did this and I grew up thinking everyone did! :) Now I use the time bake setting on my stove usually or my crock pot. (i have a gas stove) I do not like to think of coming home with nothing ready and starving children! When we built our house, my only requirement for my oven was that it have the time bake feature for Sunday afternoons! I put the dish in when we leave for church and program the oven to turn on and off at specified times. It’s been handy for evenings when we are at sports too. Because it turns itself off, I don’t worry about things overcooking either. Great idea for keeping Sunday a peaceful day of rest! That does seem like a good idea but I do have concerns about leaving the house with the oven on. Have you ever tried any of those recipes in the crock-pot? For some reason, the crock-pot makes me feel more comfortable. I’m also interested in being entered to win your free book give-away. Thank you for your fun & helpful tips. Been doing this for 36 years with a gas oven. I do the turn down temp method for the oven. 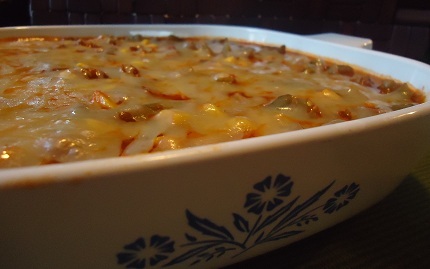 Typically it is the main meat or casserole in the oven. Sometimes I utilize the crock pot too – like for mashed potatoes. Early on I experimented with the “oven timer”, but never fully trusted that and just got use to lowering the temperature. We leave before 9:00 and get home around 12:30 p.m. We usually eat within 15 minutes of walking in the door. Have entertained many a family and friends with a large Sunday dinners – often visiting around the meal table for hours. After a large Sunday dinner – the Sunday evening meal is popcorn! yum, yum, yum, great recipes!! Thanks! I love the timebake feature on my oven. I can set what time it will start and how long it will bake. I do this all the time. Even when I’m home. I use the time bake feature though. (set the start time, the stop time and the temp) I toss my casserole in there at lunch time (when I remember!) and forget about it until the house starts smelling yummy around dinner time. This is perfect. We’re having members of our congregation coming to dinner immediately after church. I doubted I’d find an answer for successfully cooking lasagna for 3 hours. Thanks ???? for putting this out there. Has anyone tried this method with breakfast casserole?